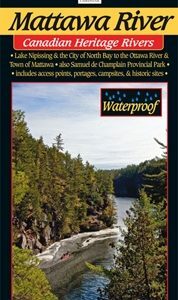 One of southern Canada’s great wilderness rivers – the Spanish – is located northwest of Sudbury in Ontario. 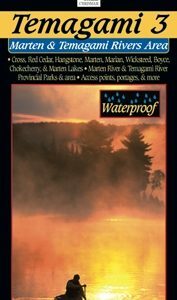 Our exceptionally-detailed 1:60,000 scale topographic map shows you the rapids, falls, swifts, campsites, portages, access points and other features of the East and West Branches from, respectively, Duke Lake and Biscotasi Lake in the north to Agnew Lake in the south. 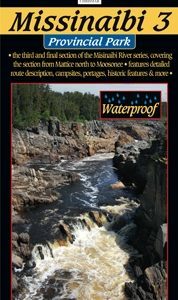 There are numerous access points to choose from, and one of the real treats of this route is taking the train, along with your canoe and gear, from Cartier or Sudbury north to your put-in. The Spanish makes for a great introductory whitewater holiday (except in high water when more advanced skills are required), particularly the East Branch. The full-length East Branch trip starts at Duke Lake, for which you’ll need to arrange a shuttle (your own or with a local outfitter), whereas shorter trips can start further south at The Forks, which is accessible by train. 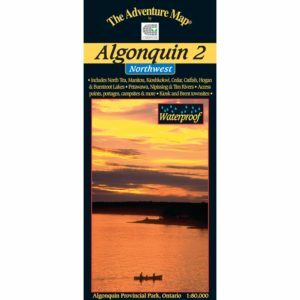 Everything you need to know is on our Adventure Map® guide – in addition to a detailed topo map and description of the route (including portage lengths and which side of the river they’re on), we’ve also provided lots of info about the rich log drive history of the area, the plentiful animals, access options, local outfitters, safety concerns and much more. So get our guide. It has the answers to most of your questions.